Volunteers take turns working at our booths at community events each spring and summer. 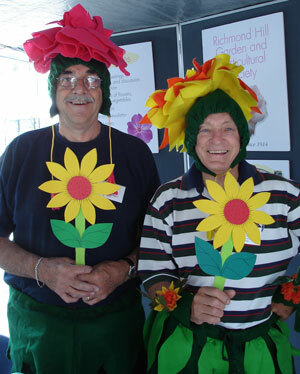 The purpose of our participation is to promote both gardening and our activities, as well as to attract new members. We take part in this event sponsored by the Natural Heritage Division of the Parks & Recreation Department to educate residents about healthy lawn and gardening practices. Mill Pond Splash is a unique eco festival that offers hands-on educational activities intended to motivate and encourage the public to make positive environmental changes in their lives.